Every detail at Lucky House is designed to maximize the views. Whether you’re enjoying a cocktail by the beach fire pit or taking a shower, the ocean and garden views are never out of reach. The villa allows for a fully self-sufficient stay, but you can also have the butler drive you into the resort for water sports, a facial or massage, or to sample tropical cuisine. 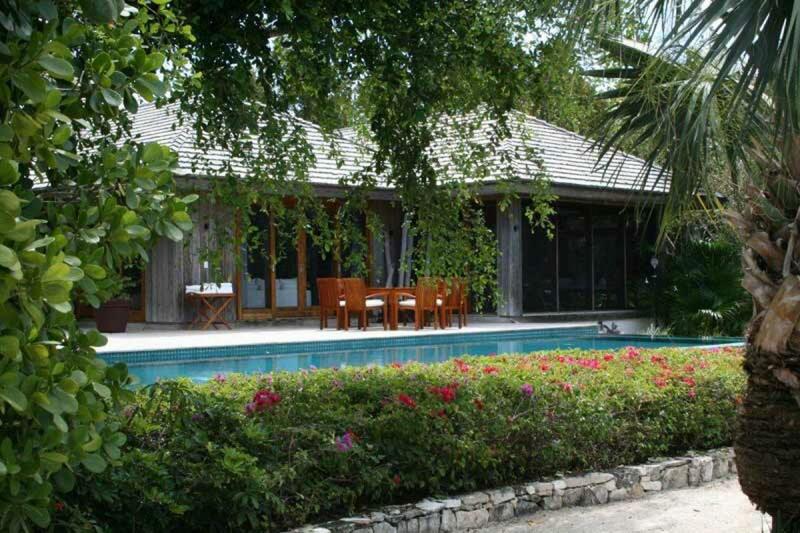 Lucky House at COMO Parrot Cay is a three-bedroom estate located on over an acre of beachfront. The house offers privacy and nonstop views. Lush gardens encompass Lucky House to give guests their own slice of paradise. Swim laps in the 45 ft. infinity pool, sunbathe in the lounge chairs, or dine al fresco on the deck. Walk down a short path to the beach for a bonfire, snorkeling, or water sports. There’s even a gazebo with a swinging daybed so guests can read or nap at their leisure. The villa’s interior has a clean, modern design with an all-white color scheme and wooden accents. The common areas have walls of glass doors that open to the deck and overlook the gardens. Watch TV in the living room, cook in the gourmet kitchen, or retreat to the suites. Each of the three suites have a conservatory with exterior access and an entertainment center. Each ensuite bathroom has an indoor shower, outdoor shower, and soaking tub. All three bedrooms have king-sized beds, and one is detached from the Main House. With 1,000 unspoiled acres and a mile-long beach, COMO Parrot Cay delivers relaxing, island-style luxury. The amazing service ethic, holistic therapies, yoga, diving and world-class cuisine keeps guests coming back. Welcome- Babysitting services and child-friendly menus are available.